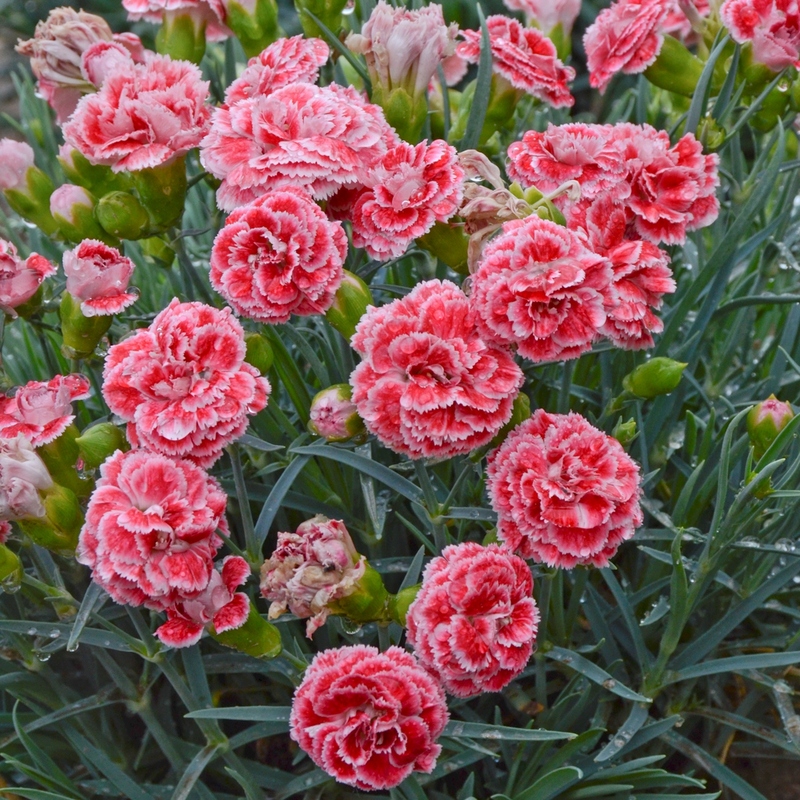 Dianthus, also known as Pinks, are lovely fragrant plants from the Carnation family. Deer resistant, low maintenance and drought tolerant, attracts butterflies, fragrant, cute cut flower—what more could one want in a perennial? Grow these evergreen perennials in the landscape, in a rock garden or in containers. Salt tolerant. Easy to grow.